Whether development or conservation, we’re experts at navigating the many available land-use options to provide a solution tailored to your vision and goals. Our big picture perspective and experience add value to every project. Our signature service is delivering creative, innovative designs for residential, commercial and master land planning projects. Gaskins can provide the final aesthetic touch to your project, seamlessly and sustainably blending structures with the surrounding landscape. Certified arborists are specialists trained in the art and science of caring for trees and are recognized and accredited to work in and around trees. Gaskins has the staff to provide these services to you. Gaskin’s years of experience in land development allow us to assist our clients with accurate “real world” capital budgeting and project cost estimates for projects of all sizes and complexity. Our approach, experience and years of project costing ensures accuracy in budgeting and estimating your project requirements. Located in Paulding County, Georgia, this 1,072-lot community includes walking trails, a community garden, tennis courts, playgrounds, and 46 acres of commercial development to support the community. A development by 825 Mars Hill. 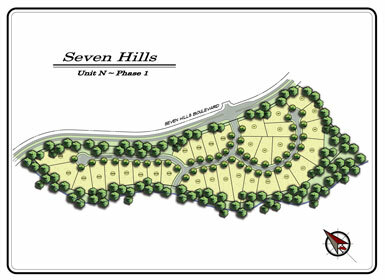 Planning services for this development involve comprehensive due diligence, which includes zoning requirements, review of setbacks, state water quality buffers, sensitive environmental features, tree locations, road conditions, water and sewer infrastructure capacity, and a review of topographic conditions. The project included 2,700 lots, an 18-hole golf course, a 50-acre amenity area with swim and tennis facilities, and a 40-acre commercial site located on a total of 1,870 acres. 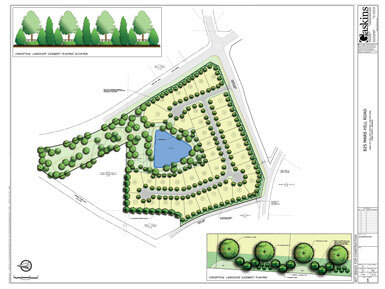 Gaskins multi-phase design included new roads, grading, stormwater management, sewer outfalls and lift stations, utilities, and erosion control.ty.